This recipe for Puff Pastry Cheese Straws comes from the old Rich’s Department Store that was an Atlanta fixture for decades. Rich’s was founded in 1867 and was the shopping destination for the Atlanta region until it finally merged with Macy’s in the early part of this century. I remember going to Rich’s with my grandparents when I was a child. My most vivid memory of Rich’s is the Pink Pig, a little train that ran through the toy department. My sisters and I loved riding the Pink Pig! What a treat that was. A popular feature at Rich’s was the Magnolia Room restaurant. It was in the Magnolia Room that these cheese straws were served. According to the Atlanta Journal-Constitution, this was the recipe of John Van Dyke who was the executive chef for more than 20 years. I know that the Super Bowl is in just a few weeks away and every food blog on the internet is posting recipes perfect for the occasion. I’ve seen more wings, ribs, and sub sandwiches in the last week than I’ve seen the whole year. 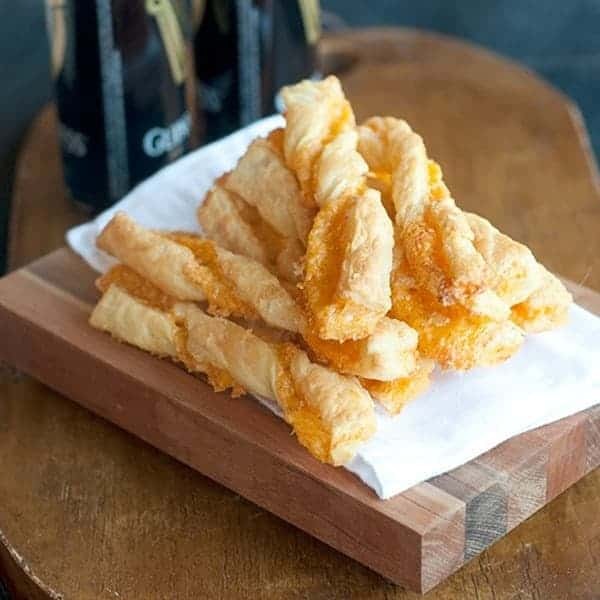 Serve these cheese straws with your favorite adult beverage. They’re good for New Year’s Eve parties, football parties, birthday parties, afternoons around the pool, or just a weekday snack! 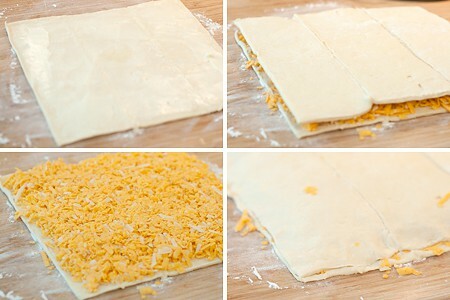 Thaw the puff pastry sheets according to the package directions. Preheat the oven to 425 degrees. Mix together the cheeses, pepper, and salt. Spread one puff pastry sheet with the softened butter. 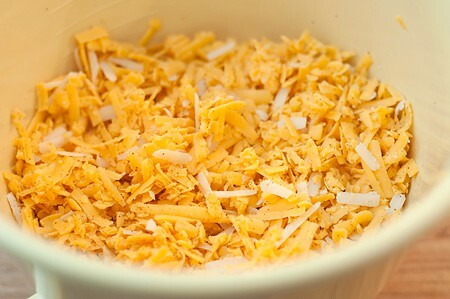 Top with the cheese mixture. Place the second puff pastry sheet on top. Gently press the open ends of the pastry together. 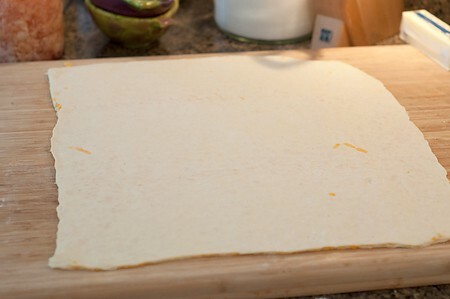 On a lightly floured surface, use a rolling pin to roll the pastry out to a 15” x 15” square. 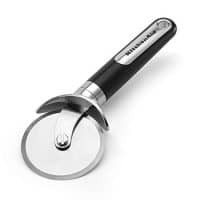 Use a sharp knife or pizza cutter to cut across the pastry in 1-inch wide pieces. 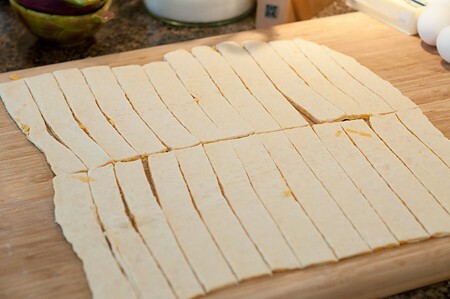 Cut down the length of the pastry to halve each strip. Twist each piece and place on a sprayed or greased baking sheet (you can also line the sheets with baking parchment if you prefer). Bake for 10-15 minutes until puffed and lightly browned. Recipe for the famous Rich's Department Store (Atlanta) Puff Pastry Cheese Straws. Sharp cheddar and Parmesan encased in light, flaky puff pastry. Preheat the oven to 425 degrees. Mix together the cheeses, pepper, and salt. On a lightly floured surface, use a rolling pin to roll the pastry out to a 15” x 15” square. 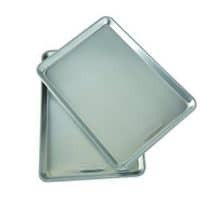 Use a sharp knife or pizza cutter to cut across the pastry in 1-inch wide pieces. Cut down the length of the pastry to halve each strip. 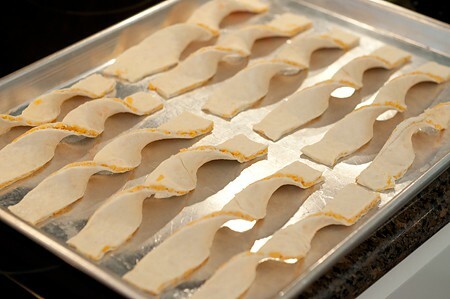 Twist each piece and place on a sprayed or greased baking sheet. Bake for 10-15 minutes until puffed and lightly browned. This recipe looks fantastic, and it’s nice to see something different for the Super Bowl. I’m excited to start browsing through your other recipes. Hi Lana! Nice to meet you. There aren’t that many of us, are there? So glad you found the blog and I hope you find some recipes to enjoy. Thanks for the referance to Rich’s. How I miss it! For a small town NC girl,married to a Georgia boy – what fun to shop in Atlanta at Rich’s! I have made these cheese sticks using different cheese and spices. 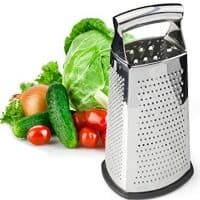 Very good with pasta dishes and soup. Enjoy your blog. Thanks. Rich’s – my very favorite store of all time. I remember seeing Mr. Rich walking thru the store keeping an eye on things. I do miss it! There’s surely nothing like it any more, is there? Ah yes the Pink Pig! It was my job to rebrand Rich’s to Macy’s in there corporate special events dept. The tradition began in 1953. Our office brought the beloved tradition back in 1990 to the Lenox store! It was alot of work but worth it! I loved Rich’s so much and hated to see it go. It was such a special treat to go downtown with our grandmother for shopping and lunch at Rich’s. Great memories! Do you recall the name of the Pink Pig? I do. Yes. Congratulations, you passed today’s memory test. Stay tuned for tomorrow’s quiz. The cheese puffs sound good and easy. Always love the history you give with your recipes.